Henderson Auctions...a family owned business since 1957: Fabrication Shop & Tool Rental Liquidation Auctions Happening Now! 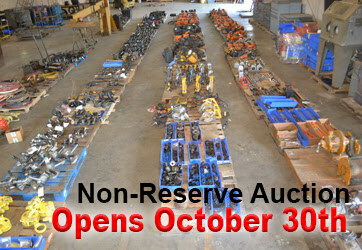 Fabrication Shop & Tool Rental Liquidation Auctions Happening Now! www.HendersonAuctions.com to preview all lots! After many successful years in the fabrication industry, Metal-Locking of La will be liquidating their assets. 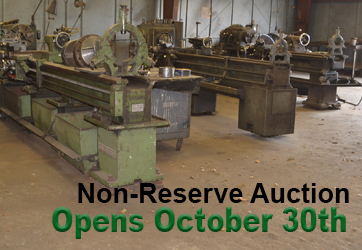 Cincinnati Lathe 10' Bed and 18" Swing, Kingston Lathe 12' Bed and 21" Swing, Boring Bar Attachments, Swivel Heads, and Tooling for 21" Beds, Bridgeport Milling Machine, Berco Vertical Milling Machine, Berco Horizonal Boring Machine, Welders, Hand Tools and More!! Buyer's Premium: 15% on each item purchased.